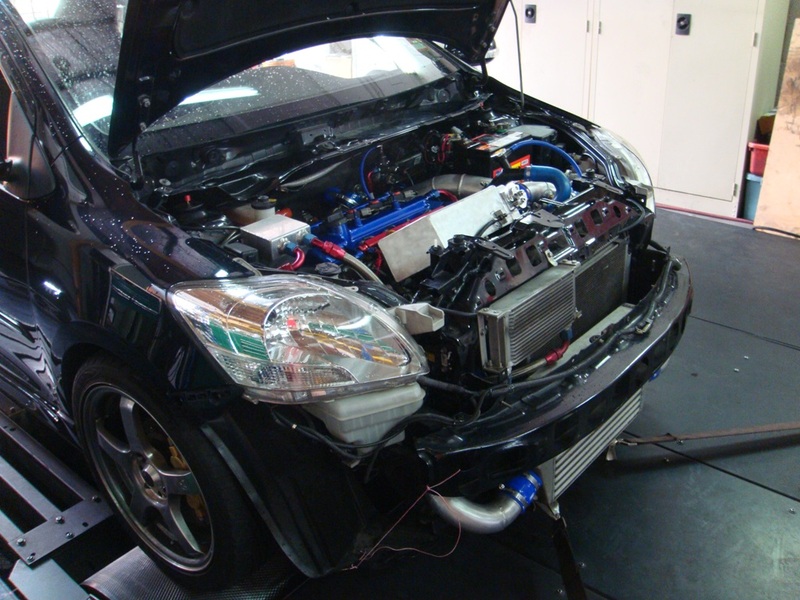 We got the engine fired up nicely, so we strapped it on the dyno to run it in and also to give it a base tune. Currently the rev limit is set to 8,000 RPM at the moment. 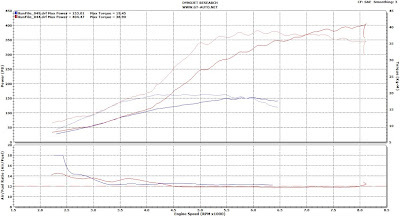 With just pump gas, no water/methanol injection, no nitrous we made 404 wheel horsepower with 1.6 bar of boost on a very conservative tune. So if we do a reverse calculation of a 15% power loss on transmission, the engine should be making around 475 horsepower at the crank. The engine needs to run in a little more before we tune it again with a more aggressive map and with water/methanol injection. I made a short video clip for your viewing pleasure, pardon the bad video quality as it was shot using a crappy camera. 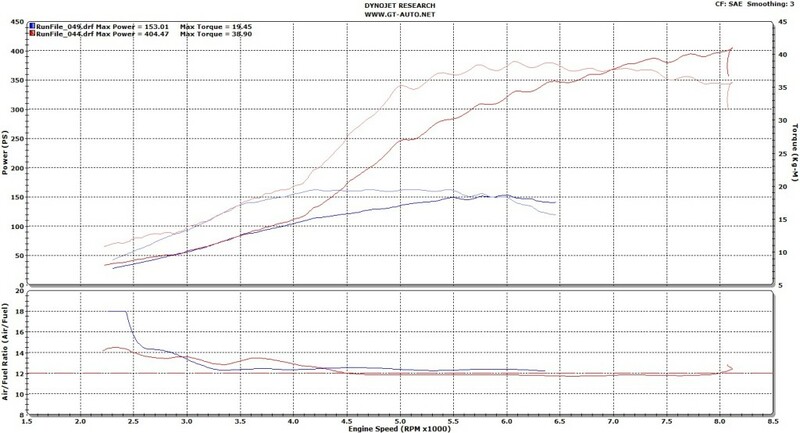 By comparing chart with the Stage 1 Turbo kit, we could see that there isn't any difference in the power delivery at the low end so we don't really experience any turbo lag at all. Now that there isn't any issue with lag, we might consider removing the nitrous kit.